Ida P. Rolf, a native New Yorker, graduated from Barnard College in 1916; and in 1920 she earned a Ph.D. in biological chemistry from the College of Physicians and Surgeons of Columbia University. For the next twelve years Ida Rolf worked at the Rockefeller Institute, first in the Department of Chemotherapy and later in the Department of Organic Chemistry. Eventually, she rose to the rank of Associate, no small achievement for a young woman in those days. In 1927, she took a leave of absence from her work to study mathematics and atomic physics at the Swiss Technical University in Zurich. During this time, she also studied homeopathic medicine in Geneva. 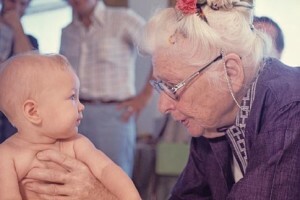 Returning from Europe, she spent the decade of the 1930’s seeking answers to personal and family health problems. Medical treatment available at that time seemed inadequate to her; this led to her exploration of osteopathy, chiropractic medicine, yoga, the Alexander technique and Korzybski’s work on states of consciousness. By the 1940’s, she was working in a Manhattan apartment where her schedule was filled with people seeking help. 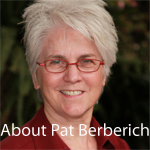 She was committed to the scientific point of view, and yet many breakthroughs came intuitively through the work she did with chronically disabled persons unable to find help elsewhere. This was the work eventually to be known as Structural Integration. 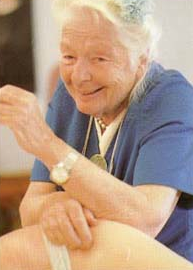 For the next thirty years, Ida Rolf devoted herself to developing her technique and training programs. 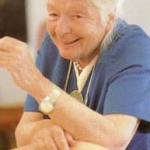 During the 1950’s, her reputation spread to England where she spent summers as a guest of John Bennett, a prominent mystic and student of Gurdjieff. Then, in the mid-60’s, Dr. Rolf was invited to Esalen Institute in California at the suggestion of Fritz Perls, founder of Gestalt Therapy. There she began training practitioners and instructors of Structural Integration. The more Structural Integration classes Ida Rolf taught, the more students sought admission to training. Newspaper and magazine articles began featuring the person and work of Ida Rolf, and soon the necessity for a formal organization became apparent. As early as 1967, the first Guild for Structural Integration was loosely formed and eventually headquartered in a private home in Boulder, Colorado. Until her death in 1979, Ida Rolf actively advanced training classes, giving direction to her organization, planning research projects, writing, publishing and public speaking. In 1977, she wrote Rolfing: The Integration of Human Structures (Harper and Row, Publishers). This book is the major written statement of Ida P. Rolf’s scholastic and experiential investigation into the direct intervention with the evolution of the human species. Another book compiled by Dr. Rolf’s close associate and companion: Rosemary Feitis, is Ida Rolf Talks About Rolfing and Physical Reality. It is truly a jewel: giving us insights into Dr. Rolf’s unique and incredible mind.